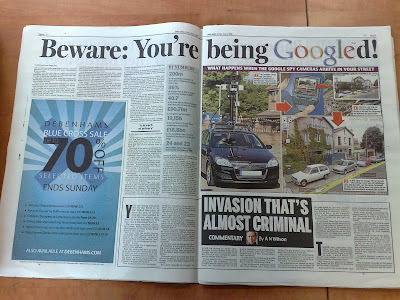 The Daily Mail (one of the UK's largest daily newspapers) has today launched a scathing attack on Google StreetView. 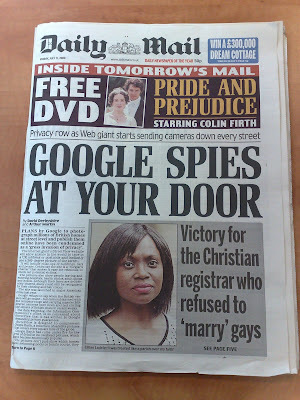 On the front page the headline is 'Google Spies At Your Door' and on a further spread across pages 5 and 6 articles are headlined 'Beware: You're Being Googled' and 'Invasion That's Almost Criminal'. So is this just newspaper sensationalism and an opportunity for a 'traditional' media publisher to fight back at Google or is Google StreetView something that people should be concerned about?